George L. Kiamos, Esq. joined Catania, Mahon, Milligram & Rider, PLLC as an associate in March 2018. His practice is concentrated in commercial transactions, business representation, and estates & trusts matters. George’s business and legal experience is comprehensive and multi-faceted, allowing him to counsel clients on both business and individual needs. George forms & dissolves profit and nonprofit entities, advises businesses on corporate governance issues, and helps privately held companies and their owners with ownership transition issues as well as mergers, sales, and other transactions of varying complexity. George also assists clients with estate and succession planning. George, a Newburgh Free Academy alumnus, earned his B.B.A. in Accounting and Greek & Roman Civilization from the University of Notre Dame. He attended law school at the Ohio State University Moritz College of Law, where he was a managing editor for its Entrepreneurial Business Law Journal. 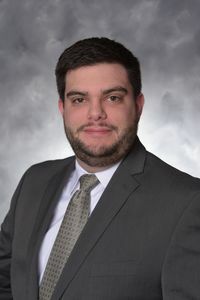 After law school, George gained experience with a startup company focused on banking industry compliance issues, and he most recently worked in the corporate department of a large firm in Cincinnati. George was admitted to the Ohio Bar in 2013 and the New York Bar in 2014.